An executive coach, consultant, writer and speaker dedicated to moving your goals forward no matter what. 90% of people who are “winning” in life and business have high emotional intelligence. These people are not just achieving powerful results; they have developed the emotional and social capabilities to effectively manage relationships, stress, and changes in their careers and lives. 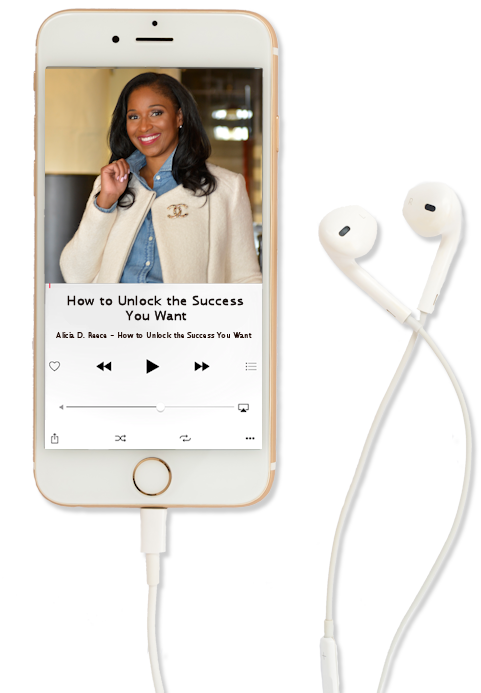 Learn how to unlock the success you want by downloading my free audio recording. » Click here to schedule time to connect with me. A few years ago I decided to pursue a career change. After working as a middle school Math teacher for four years, I realized that I was unhappy. Although I love children, it dawned on me that I was not fulfilled. A family member introduced me to Alicia and let me just say my outlook on my career has completely changed! Our initial consultation involved her just getting to know me and helping me figure out what I loved to do and how I could get paid for it. Then she helped me revamp my resume and showed me how to effectively network and develop meaningful relationships. When I felt discouraged, Alicia was always a phone call or email away! She provided unique avenues I had never considered before! What I love about Alicia's coaching style is that she provides a trusting platform for her clients to be heard. I am happy to say I am reaching my goals and living my dream as an Assistant Executive Director for a major healthcare company! I have not only gained a wonderful opportunity in my career, but I have also developed life-long skills to walk in my destiny and it is good to know I have Alicia as my coach to walk with me along this journey! My coaching experience with Alicia is that she is very professional, a good listener, detailed oriented and is non-judgmental; you can discuss topics openly with confidence. Alicia created a healthy arena for me to tap into the realm of self-awareness by cultivating a trusting environment and allowing me to be cognizant of what was happening within me internally. She has a wonderful ability to carry the coaching experience to the next level and be of optimal assistance to anyone searching for guidance and support in achieving their goals. 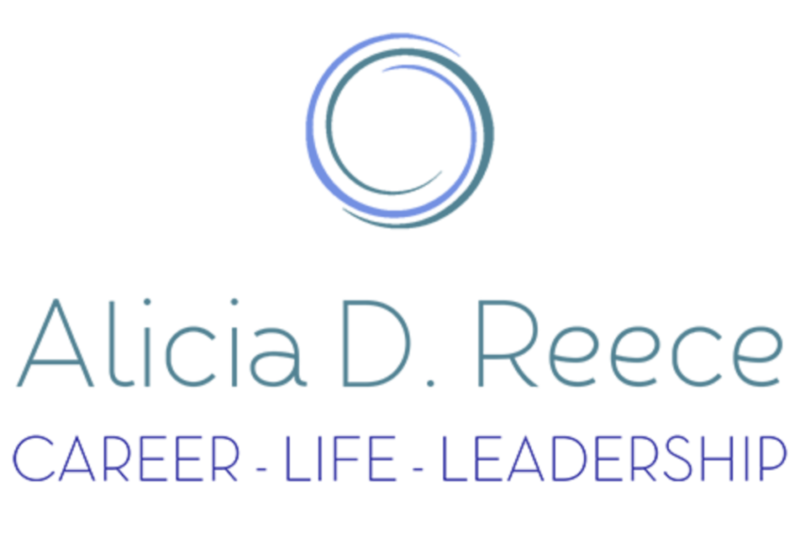 During my coaching engagement with Alicia, we worked on goal management and networking skills that would be used to move higher into my organization. After working with Alicia, I was able to take away the importance of networking by tapping into my emotional intelligence skills. From our coaching engagement, I've seen tremendous results. I now meet regularly with people in different departments and have lunch with them almost bi-weekly. This is getting me introduced to more people in the organization who can vouch for my skills as well as meeting people in decision making hiring positions. I've enjoyed working with Alicia. It's a pleasure to work for someone who has such drive and determination to ensure that the learners have a positive and valuable experience; and who understands the power of coaching and what it needs to make it work. Alicia is a proactive professional whose insight has been highly beneficial for my students at University of Tennessee, Chattanooga. She served as a speaker in the career readiness course at the College of Business and was succinct, powerful, and encouraging in her delivery. I will certainly look forward to partnering with her in the future - she was awesome. She is a knowledgeable and approachable consultant who will profit any client and I am grateful for her gracious involvement.